Micro Focus ALM and Quality Center (formerly HP) has been the most widely adopted test management solution in the market to date; however, enterprises are replacing these legacy solutions as they modernize their development and testing organizations. The qTest platform provides robust functionality that enterprise companies require today, including support for agile development methodologies, DevOps delivery practices, flexible integrations with open source automation tools and more. In this webinar, Ryan Yackel shares how to help you make the transition from Micro Focus to qTest quickly and easily, so you’ll start benefiting immediately. And Brad Bellmore shares why ABC Supply, the largest wholesale distributor of roofing in the US, switched from Micro Focus to qTest and how they did it. Your testers know your product better than anyone else on the team. They are often the ones who question the design of the system and if the expected behavior meets the needs of the customer. With so much insight, why are they not contributing to the innovation of the product? In this session, Master Inventor Angie Jones, will share her techniques for utilizing her testing skills to improve the products she works on by inventing new cutting-edge features that help put the company ahead of their competitors. After this session, you’ll have new tools for developing your testers to become the innovators you need to take your business to the next level. AI has the potential to significantly increase testing efficiency by helping organizations prioritize the highest risk areas of a given release, widening test coverage, isolating bugs and more. In this sense, AI could become an invaluable tool for achieving strategic quality goals, but there are certain steps organizations will need to take in order to leverage AI’s potential. A strategic approach to software quality saves money and helps companies avoid releasing bugs into production. And if agile QA teams are enabled properly, they can also make significant contributions to business goals like decreasing time to market, improving customer satisfaction, and helping drive revenue. How can you foster an organization-wide understanding of QA’s value and ensure strategic quality objectives are supported from the top down and across the development organization? Join this webinar to learn how each QA role can more effectively “manage up” by understanding what their boss needs to know and how their work ties into the overall business objectives. If you’re going to automate one kind of tests at your company, API testing is the perfect place to start. It’s fast and simple to write as well as fast to execute. If your company writes an API for its software, then you understand the need and importance of testing it. In this webinar, we’ll do a live demonstration of how you can use free tools, such as Postman, Newman, and Jenkins, to enhance your software quality and security. Is your QA or Test Department stuck in an operating model that no longer gives you what you need? Struggling to quantify the value you bring to the delivery world? In this session, Mallissa discusses some tried and tested methods of identifying, implementing, and measuring the success of effective change within this space. From assessing the current state to devising credible objectives to deliver on a new world vision, she walks us through the common challenges and obstacles frequently met and share how she has overcome many of them. From metrics-based micromanagement to the law of triviality, software testing has been subjected to a standard set of responses to testing’s ambiguous, uncharted journey into a sea of bias and experimentation. There are many anti-patterns associated with managing software testing and their effect on quality, from how you organize and fund testing, to the tools you use to automate and manage the process. 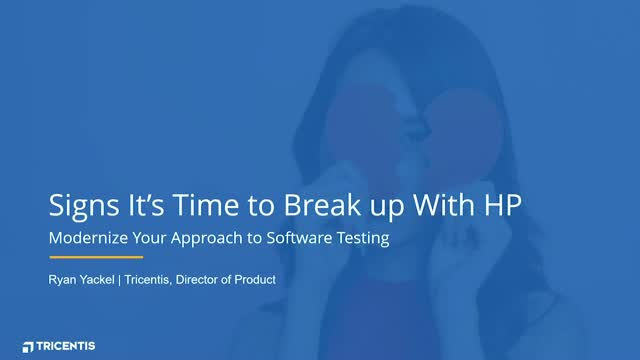 In this talk, Keith Klain explores common solutions to common software testing problems and the unintended consequences, dysfunction and risks they can introduce to your organization.